Did you know this about RMDTs 2018 Nutcracker? 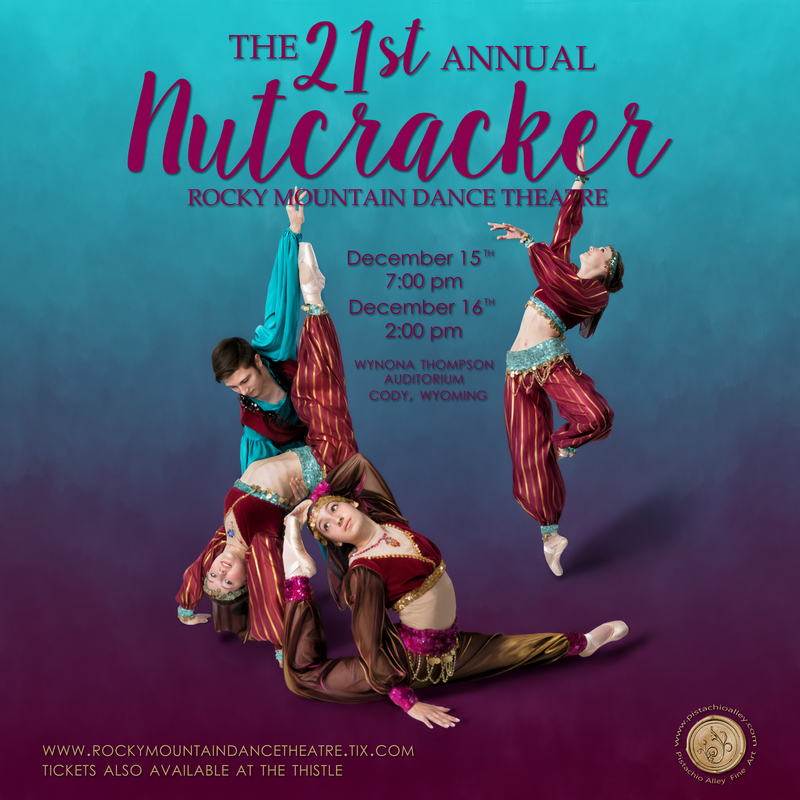 Rocky Mountain Dance Theatre is gearing up for their 21st Annual Nutcracker Production which will be held Saturday, December 15 at 7:00 pm and Sunday, December 16 at 2:00 pm. The Nutcracker has truly become a local cherished holiday tradition with tickets selling out last year and this year they are on track to sell out in record time. Tickets can be purchased online at www.rockymountaindancetheatre.tix.com or locally at The Thistle in Cody. During all this; the auditorium is booked; 5 different backdrops are ordered; posters are made & distributed; guest Principal dancers are scheduled; rooms, flights, and services for Principal dancers are paid for; ticketing is made available to the public; program is typed up, edited, and printed; newspaper ads are created; videographer/ lighting designer/audio technician/technical directors are hired… If you haven’t gathered, the cost of all this adds up rather quickly and since RMDT is a non-profit organization, the Nutcracker is only made possible by donations, sponsors, and grants. From what is known, the RMDT Nutcracker is the only performance in the area which this type of exposure and experience to the arts is available to both young and old alike. With RMDT’s Access for All Program, two Nutcracker performances are given free to students from our schools in the surrounding area so all kids can experience the magic of a professional Nutcracker ballet production. Posted in Current News, RMDT, Uncategorized. ← Download RMSA/RDMT Studio App!